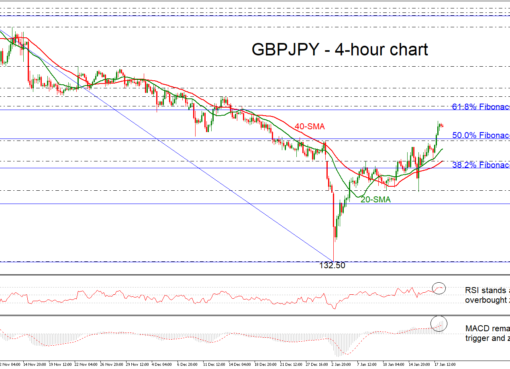 GBP/JPY finds strong resistance at 20- and 40-SMAs in near term. 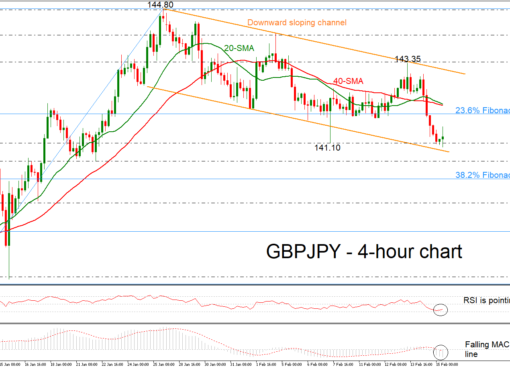 GBP/JPY has reversed back down again after finding resistance on the bullish cross within the 20- and 40-simple moving averages (SMA) in the 4-hour chart. This top is just above the last day’s high near 148.10, while the price started a sharp bearish bias after the pullback on 149.30 on in Thursday’s trading session. 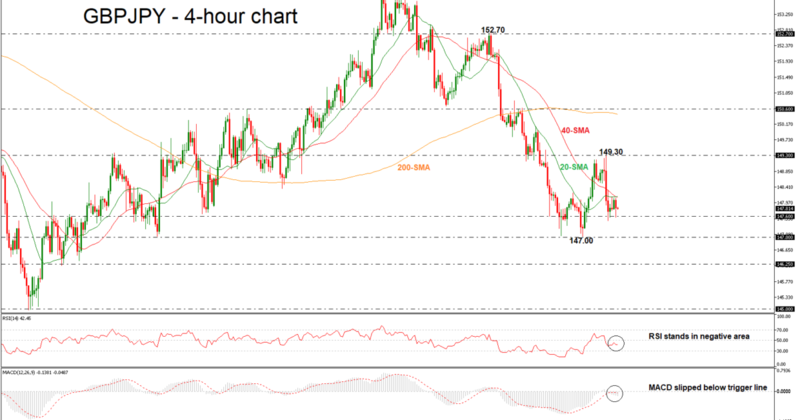 In the 4-hour chart, the technical indicators dropped to their negative levels, confirming the bearish attitude on price. The RSI indicator slipped below the 50 level and is still sloping down, while the MACD oscillator declined below its trigger line. 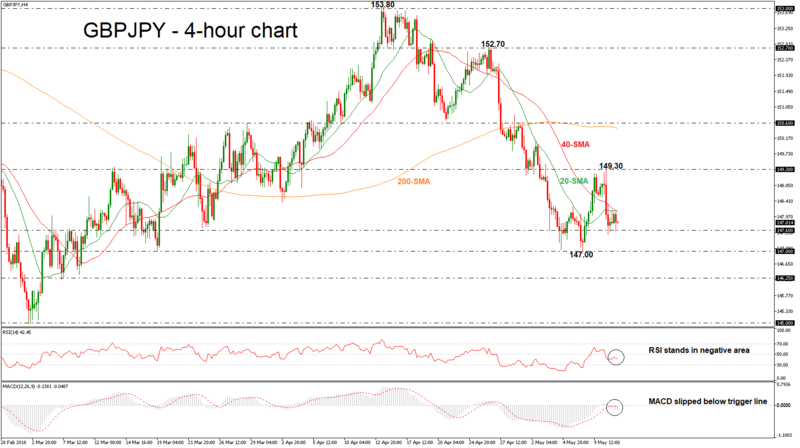 In case of further losses, the price could challenge the immediate support of 147.60. A drop below this region should see the March 19 trough of 147.00 acting as a major support barrier. Further downside pressures would reinforce bearish structure in the medium-term and open the way towards the next key support level of 146.25, taken from the low on March 7. In the event of an upside reversal, a successful surpass above the moving average could drive the pair until the 149.30 resistance barrier. Also, above this critical level, the 150.60 hurdle, which holds near the 200-SMA could add some gains to the pair if broken. 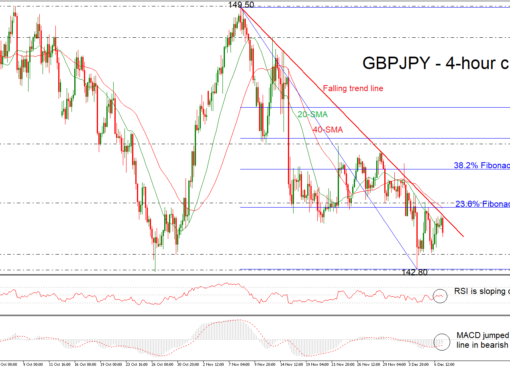 Overall, GBP/JPY continues the negative movements and more declines are expected in the near future.